When faced with the tragedy of losing her father after also having lost her mother at such a young age, young Ella finds herself living alone in the cold tower while her wicked step-mother and spoiled step-sisters live comfortably in the warmth of the house below. She has become servant to this new family that has spitefully renamed her Cinderella because of the ash and cinder that covers her. 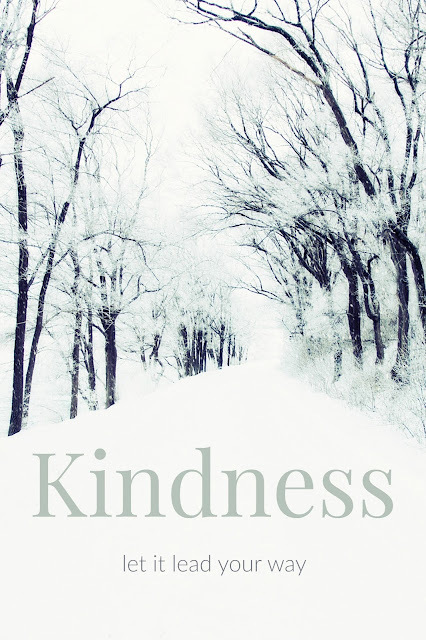 Despite the negativity that surrounds her, she is determined to honor the promise to her mother "have courage and be kind". This quickly becomes her mantra and shows that she is not helpless. She is strong and in control of her life not just stuck in her circumstance. 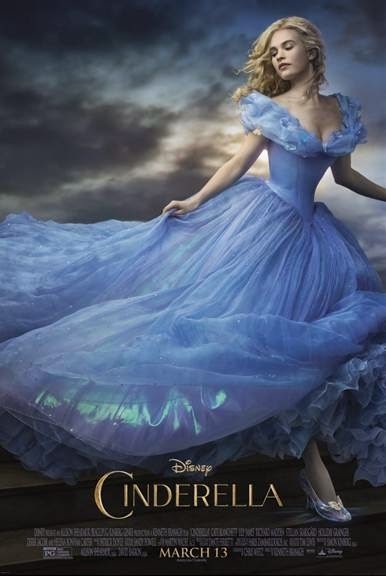 Disney's Cinderella stars Lily James. Fellow Downton Abbey fans will recognize her as the lovely Lady Rose in the PBS series. The casting of her in this role couldn't have been more perfect. She plays Cinderella as a strong, intelligent, beautiful, yet humble, caring young lady. All the characters are so well played in this film. Cate Blanchett does a scary convincing portrayal of Cinderella's step-mother. One of my favorite moments in the film is when we get a glimpse into why she is who she is. It doesn't excuse the horrible things she does, but it does help you to understand more of where she is coming from. The two step-sisters, offer some comedic relief with their temper tantrums. Sophie Mcshera, (Daisy from Downton Abbey) was a delight to watch. She has such excellent comedic timing and perfect over the top facial expressions that really added to the character she plays and really made her a scene stealer. Even the Prince, who is very flat in the animated version, gets a story line of his own in this updated version. Much like Cinderella chooses to play the role she is given as servant girl, so must the Prince play the role he is given as royalty. They are both feel the strain of their families and must "have courage and be kind" if they want to change things. 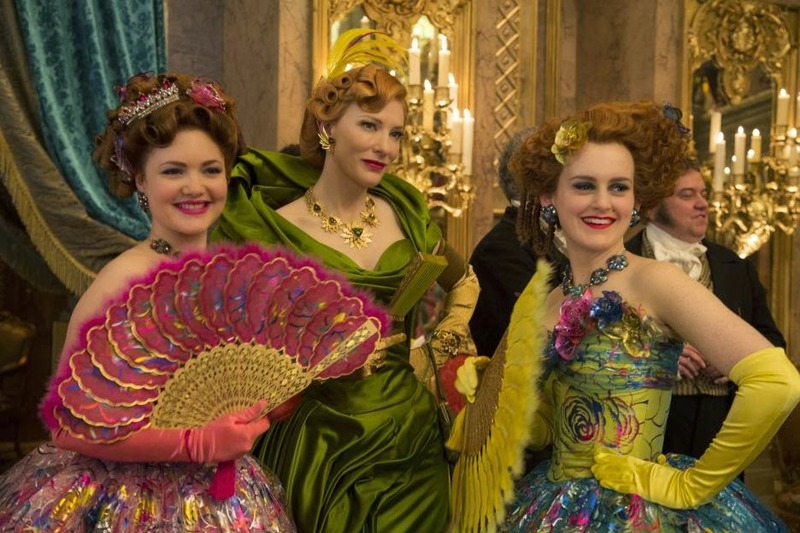 I was truly delighted by Cinderella and I think you will be too. It is visually stunning. I am in complete envy of the costumes! I would expect to see some award nominations for sure! It is a great family movie with something for everyone. As I was leaving the theater I heard a little boy say, "I really liked that movie, Dad!" and a little girl stated "Mommy, I want to be Cinderella she is so pretty!" My husband even gave it 4 stars, which really should have been 5 stars but he was distracted by the fake teeth on the Fairy Godmother, (Helen Bonham Carter). I have to agree the teeth were a little distracting, but not enough to deduct a star and it certainly didn't take away from her wonderful performance. This is a 5 star movie! I would have liked to see Disney use the iconic Cinderella castle rather than the simpler castle they went with. I'm surprised they didn't do that considering the Magic Kingdom is built around it, but it doesn't take away from this magical film that shows that girls can be both strong and pretty, and it is always best to "have courage and be kind." And as an added bonus... The New short film Frozen Fever is showing before Cinderella. It is very well done with a great new song to love. It brings back all the characters from the film, and introduces some adorable new little snowmen. Disclosure: I attended a free screening of this movie in order to complete this review. All opinions expressed are my own. I just can't wait to see this movie. I've always loved a good Cinderella story. I've been amazed by all of the beautiful costume designs from this movie. We just saw this movie today. I really liked it! This looks like such a good movie. I have it on our must see list. Great cast of actors in this film. I'm sure the Frozen short is going to be a big draw. I am going to steal my daughter and a take her to see this movie. Not sure the boys will be as thrilled. I saw this movie on Tuesday and I adored it! We absolutely loved it! Ella is a beauty inside and out. Lily James is just lovely, and I love the new spin on the story. I think I'm going to take my son! This will be a great show. Love the lessons. Cindy and I were born just months apart, so we have a special bond. (I can't believe I haven't seen the movie yet!) 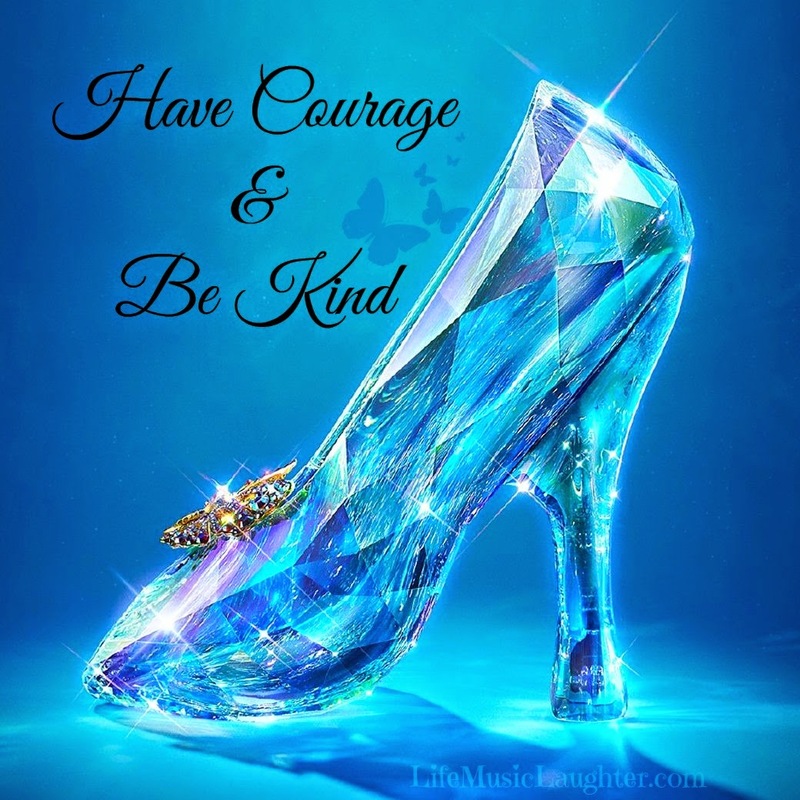 I have fallen in love with the courage and kindness motto already; touche Disney! The costumes are just TOO much fun. I am loving all the colors of the movie too - so bright and fun!